I have been blessed with an incredible family…great parents and lots of wonderful Aunts and Uncles, all who were caring, funny, and supportive as far back as I can remember. One such person was my Uncle Fred. He always had time for me…for my questions and my inquisitive nature. As for the impact of a man upon my life, Uncle Fred was second only to my Dad. I remember growing up as a kid and would spend time with Uncle Fred and Aunt Maude…they lived up in South Carolina, so it was a bit of a drive to get there from Georgia. He would show me and my brother around his property, and would especially linger in and around his shop. And what a shop it was! You see, Uncle Fred was a machinist (and maybe a Mechanical Engineer…not sure how accurate my memory is). And he NEVER threw anything away…never! I remember one time when Uncle Fred was trying to explain to me how a differential worked. He made hand gestures and drawings on paper..but I still wasn’t getting it. He disappeared to his shop for a bit, and came back carrying a real differential…in his hands!! He then showed me how the gearing worked and the light bulb finally turned on!! Uncle Fred was part of The Greatest Generation. 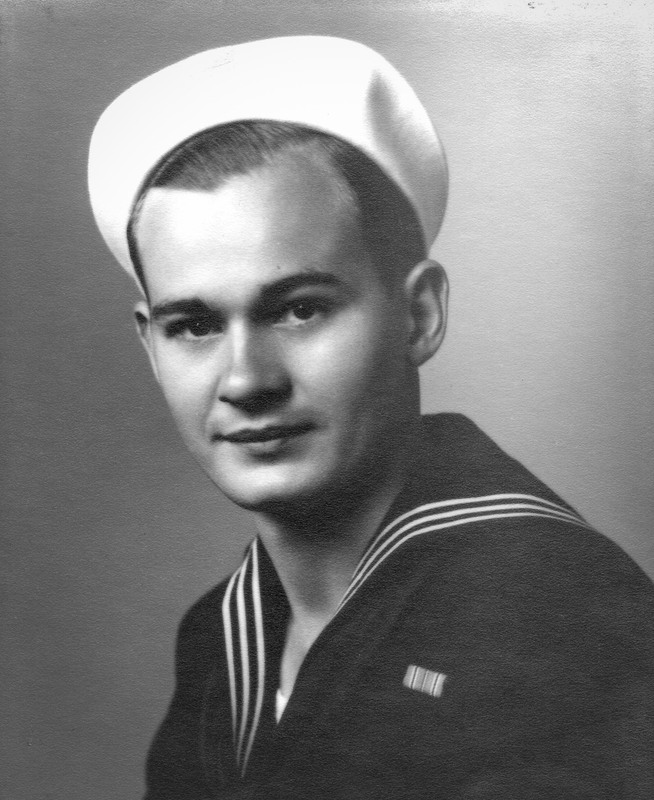 He served in the Marines as part of the Seabees in World War II. The Seabees were USMC-trained soldiers who were also trained engineers and construction tradesmen. Talk about a one-two punch!! They could both fight and build…all in the same day if needed. Another example Uncle Fred gave me was in marriage…he and my Aunt Maude were inseparable. They always held hands and joked with each other. They lived life to the fullest, trusted God, and were ready to help anyone in need. Uncle Fred was 95 years old when he passed away a few weeks ago (on May 17th)…had he lived just one more week, he would have celebrated his 73 anniversary. This entry was posted in Run the Race and tagged aunt maude, greatest generation, seabees, uncle fred on May 28, 2017 by sr71rocks.